SARASOTA, FLORIDA/USA - NOVEMBER 18, 2016: Luxury waterfront houses, Sarasota Bay. The city limits have expanded because of the real estate rush of the early twentieth century. 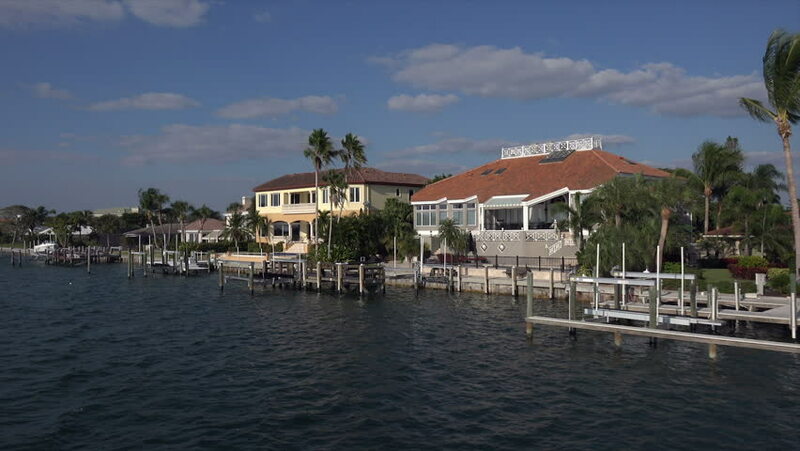 hd00:23Waterfront affluent rich wealthy luxury homes mansions gated community exclusive high-end real-estate retirement intracoastal waterway Port Royal Naples Florida.